The German carriers, forwarders, and transport trade unions are sounding the alarm. The shortage of truck drivers is slowing down the growth of the German economy, which is a key economy in Europe. According to the International Monetary Fund, the German economy is the biggest in Europe, and its situation affects the entire European Union. The German economy started slowing at the beginning of this year. In April, the industrial production fell even by 1 percent, compared to the previous month when it grew by 1.7 percent. The year-over-year growth of industrial production in April was 0.8 percent below the expected rate (it was 2 percent, while the previous growth was 3.8 percent). The study conducted by the ZEW Institute shows that the indicator of trust of the German analysts and institutional investors fell below the expectations in July. It was -24.7 points. In June, it was on a slightly better level: -16.1 points. The analysts expected the index to be around -18.9 points, so the drop was more dramatic than the forecasts. Such a bad condition of the German economy is also confirmed by different indicators of the Ifo Institute, which studies sentiments of entrepreneurs and economic activity in Germany. In June, it was 101.8 points, which is 0.5 points fewer than in May. 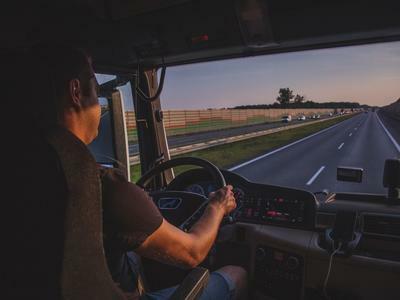 Over 10 percent of the goods produced in Germany do not reach customers due to a shortage of drivers,” said Eugen Jung, a leader of a forwarding company with a 100-year tradition, in his interview for “Hessenschau”. This fact is not without effect on the condition of the German economy. 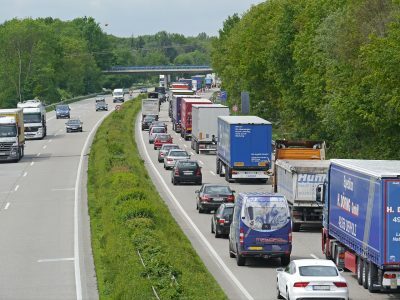 So called bottlenecks in the German logistics are mainly caused by the shortage of truck drivers. Entrepreneurs from the transport industry, employers’ unions, companies and organizations from other sectors are raising the alarm because the situation is getting increasingly difficult. They are warning about the “supply crisis”. Without efficient transportation, the German economy, as any other economy, cannot function. According to Frank Huster from DSLV, one of the leading German transport organizations, despite determined efforts, the German logistics is on the verge of a “transport infarct”. The transport operators are not able to accept all the orders and they handle some deliveries with delays. “The problem is increasingly commonplace,” alarmed Huster. The shortage of drivers is getting worse. 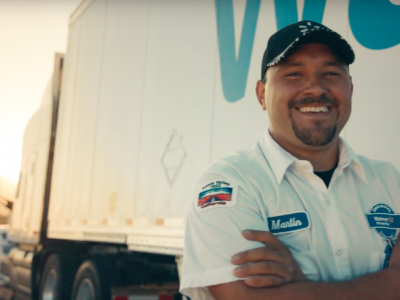 On average 30 thousand drivers leave the industry every year. Huster underlines that 10 percent of trucks are at a standstill because there is nobody to drive them. Sebastian Lechner, a member of the Board of the Federal Shippers’ Union, estimates that the number has already reached 20 percent. Out of 1.5 million drivers who, in 2016, held the driver card already one million are over 45 years old. It means that in the next 15 years they will retire. And, as BR.de reports, every year, professional qualifications are obtained only by 2 thousand people. The critical situation in the German FMCG industry (fast-moving consumer goods industry), where products are supplied with big delays, has been discussed for a long time. The industry of building materials is also complaining. In March this year, the union from this industry (BBS) presented its position, criticizing bottlenecks in transport and calling them a brake on the German economy. The organization underlined that it has observed a problem of “bottlenecks” since 2017. BBS has proposed a range of solutions for the transport industry and emphasized a key role of truck drivers for the entire economy. The problems with supplies are mentioned also by the association of cardboard packages producers VVK. The growing number of loads and insufficient number of free vehicles slow down the growth of companies in this industry. The Association of European Vehicle Logistics (ECG) has been complaining about staff shortages since 2015. The shortage of staff in the German transport industry, as well as in other European countries, is caused mainly by the low attractiveness of the profession. And this results from a bad image of a driver, high costs of obtaining qualifications, relatively low wages (on average about 2.4 thousand euros monthly), bad treatment on loading platforms and other burdens connected with this work. The latter includes permanent stress, time pressure, separation with the family and legal uncertainty. The regulations on domestic and EU level are becoming more stringent. In Germany, the abolishment of compulsory military service has also contributed to the staff shortages. Recruits often left the Bundeswehr with drivers’ qualifications in their pockets. The German army trained about 15 thousand truck drivers a year.